James Francis Rapp spent six years as a teacher and wrestling coach at Lumen Christi High School in Jackson during the 1980’s. 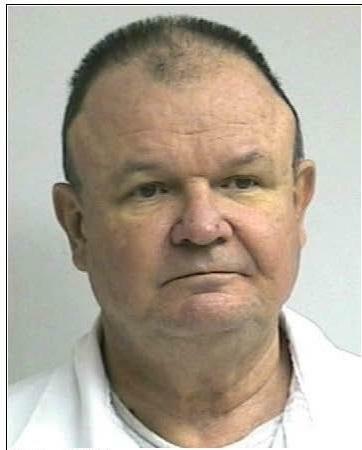 It was during that time that prosecutors allege the former Catholic priest sexually assaulted several young boys. Prosecutors filed 13 charges against Rapp Monday, including three counts of first degree criminal sexual conduct. Each of the first-degree felony counts is punishable with a sentence of up to life in prison. Rapp faces up to 15 years in prison on each of the 10 lesser counts. Law enforcement started investigating Rapp in 2013, after several alleged victims came forward with stories of abuse dating back to the early 1980s. Jackson County Sheriff Steven Rand says the investigation lead to more alleged victims coming forward. James Francis Rapp is currently serving time in Oklahoma on similar charges. He could be released from prison next year. Michigan Attorney General Bill Schuette says his office is moving now to extradite Rapp. “People who abuse their authority by preying on children must be brought to justice, no matter when the crime was committed,” says Schuette. Barbara Dorris is with the group Survivors Network of those Abused by Priests, or SNAP. She says Rapp is a danger to children. “There’s been charges in three different states that he is a serial predator,” says Dorris. While she is glad to hear about the charges against Rapp, Dorris says she would like to see church officials held responsible for reassigning him to other parishes, despite concerns about his relationships with children.